Origin Tropical Southern Asia which was originated from Srilanka, India or Indonesia. Basella alba is a succulent, branched, twining herbaceous, perennial plant which is cultivated as a vegetable. 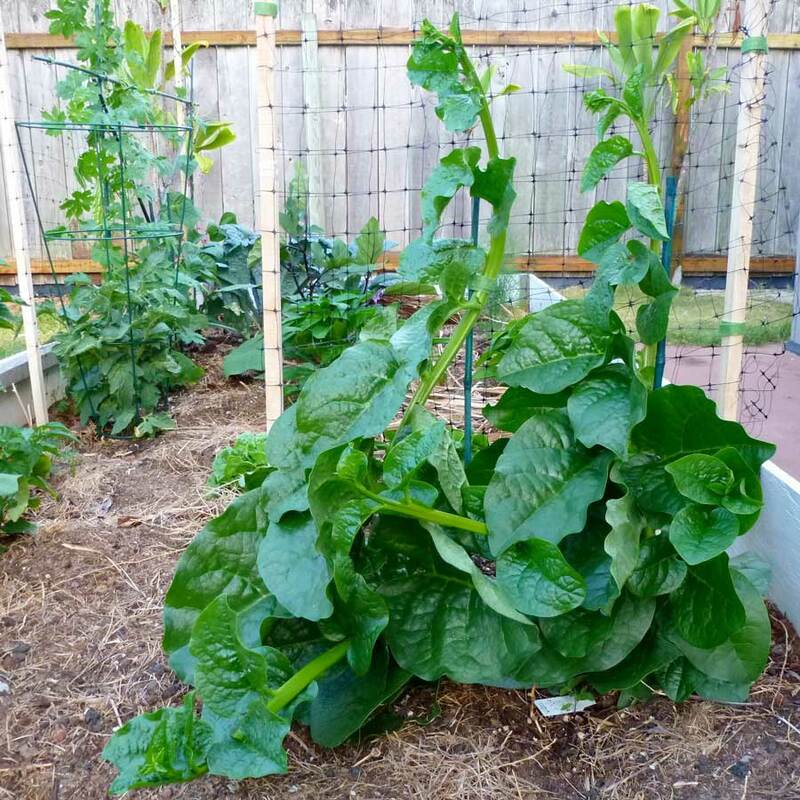 This plant is also known as Malabar spinach, Indian spinach, Ceylon spinach, East-Indian spinach, Vine spinach, Climbing spinach, Chinese spinach, Cyclone spinach and Alugbati. Malabar spinach is an edible flowering plant in family Basellaceae native to tropical Southern Asia which was originated from Sri Lanka, India or Indonesia. It is a perennial plant which grows upto nine meters long. 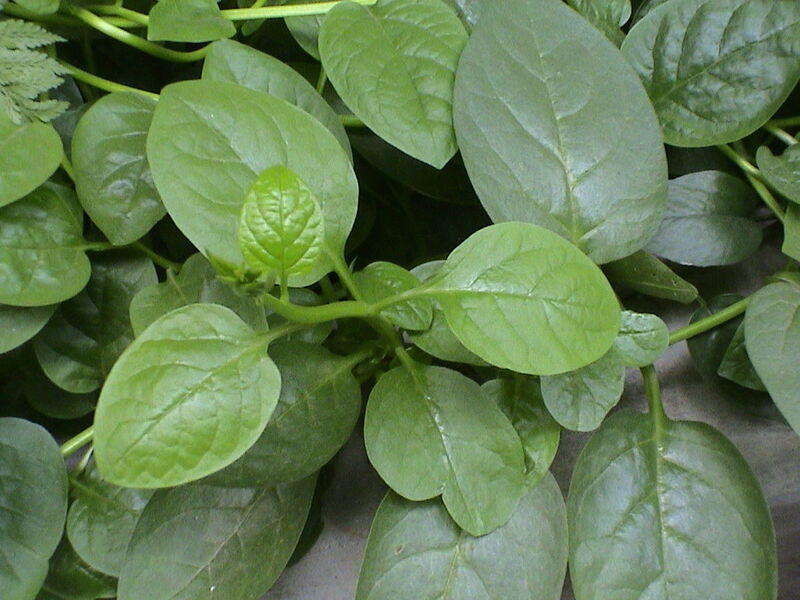 The leaves of Malabar spinach are dark green, fleshy and heart shaped which is around 3-9 cm long and 4-8 cm wide. 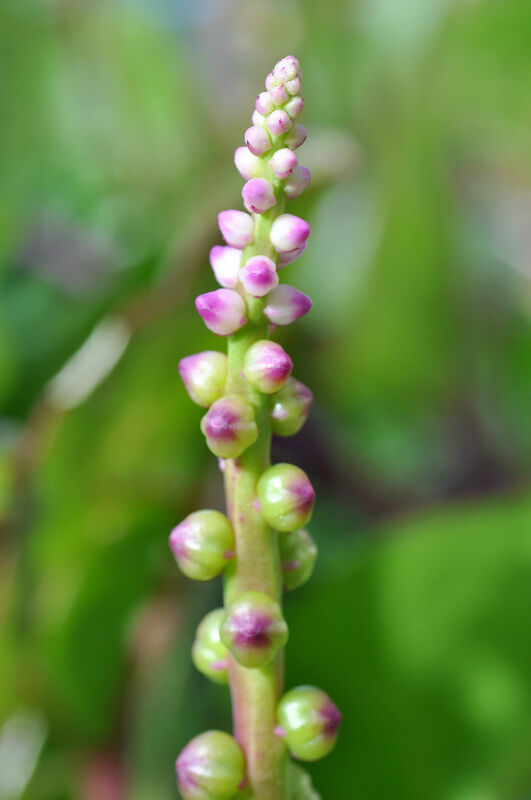 The flowers are white or pink, globular and 4 millimeters long. 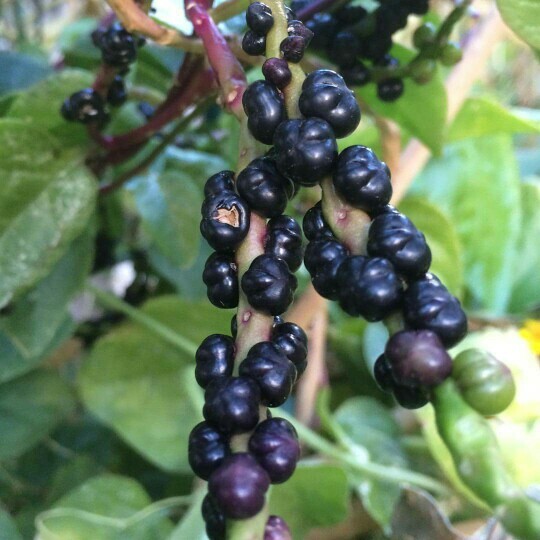 It bears deep purple fruit with black, globose and indehiscent seeds. It prefers warm climate and well-drained soils. 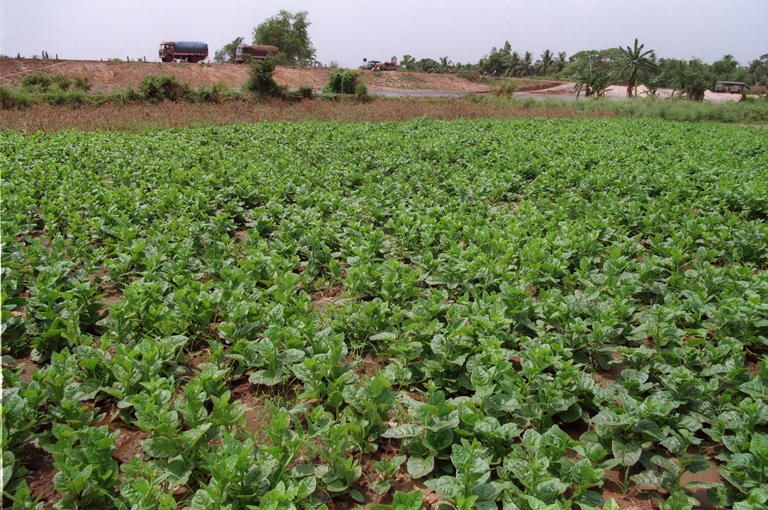 Malabar spinach is an inherent to tropical Southern Asia which was originated from Srilanka or India, Indonesia. 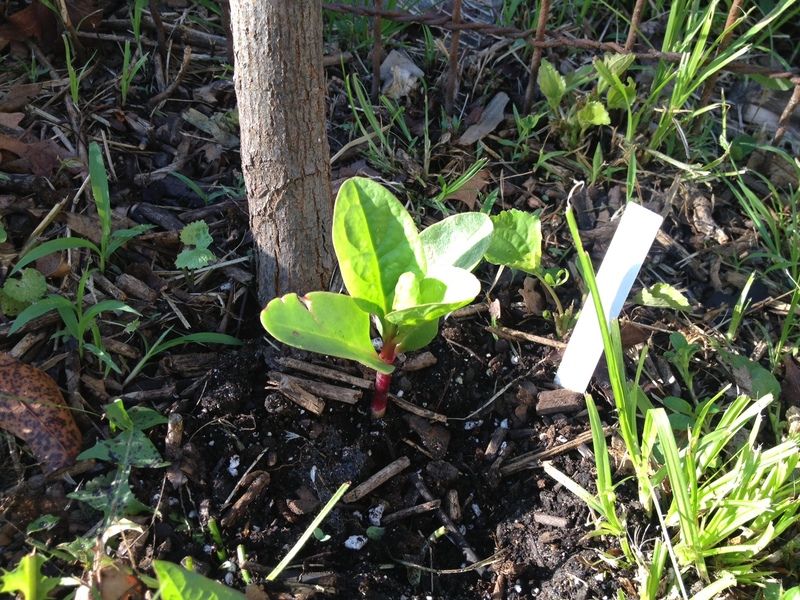 Malabar spinach is found plentiful in Philippines, Malaysia, Caribbean, Tropical Africa, Tropical South America and Southeast of Brazil. Due to the adaptation to various soils as well as climates, Malabar spinach is treated as the best tropical Spinach in the tropical world. The serving size of 44 grams provides 10 calories. It provides 50 µg of Vitamin B9, 0.65 mg of Iron, 55 mg of Calcium, 0.049 mg of Copper and 21 mg of Magnesium. 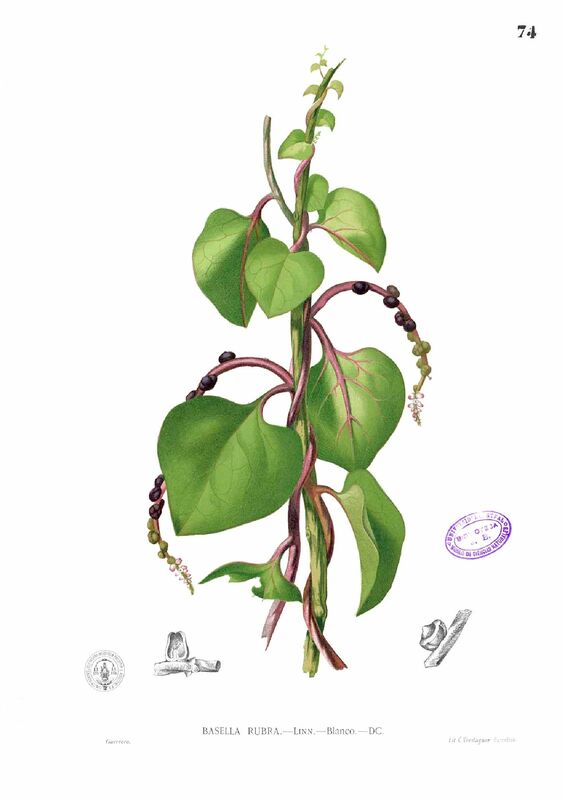 Malabar spinach is rich in Vitamin B9 and other proteins as well as minerals. 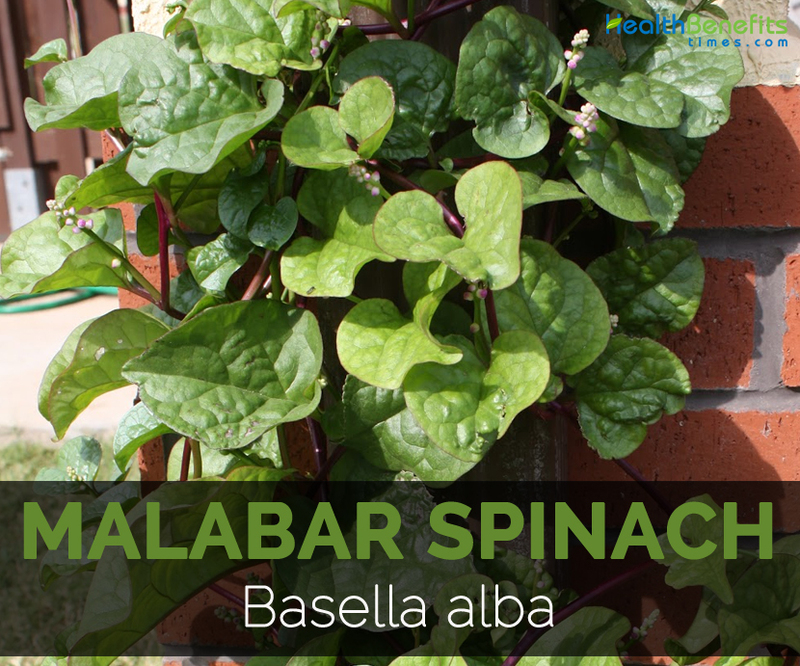 Malabar spinach is an excellent source of iron, calcium, Vitamin C and Vitamin A. 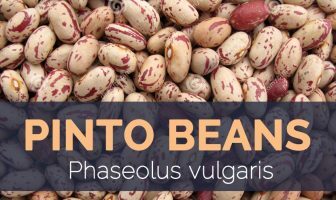 It contains high protein and great source of phosphorus and potassium. 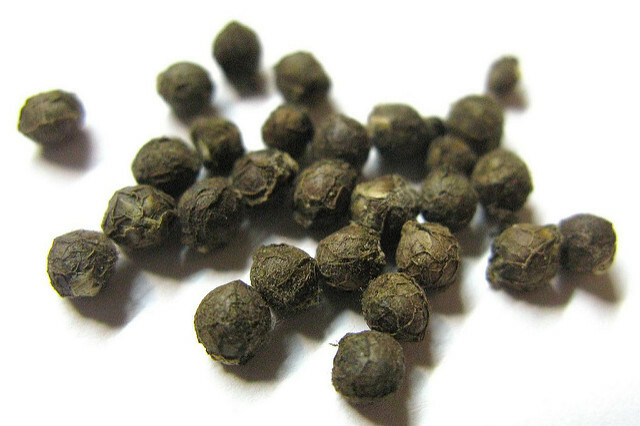 It has great amount of antioxidants such as lutein and beta carotene. Folate is essential to reduce the homocysteine level which is present in the blood. Homocysteine increases the chances of strokes and heart attacks. Folate helps to convert the homocysteine into methionine which normalizes the level of homocysteine. It has a positive role in metabolizing minerals as well as antioxidant activities. The studies have shown that high intake of folate reduces the chances of cardiovascular disease. The intake of folate with adequate amount of veggies as well as plant foods helps to treat the depression naturally. The high intake of folate helps to lower the depression significantly in depressed patients. The studies show that high levels of homocysteine increases the chances of dementia and Alzheimer’s disease. The low amount of folate in the body leads to poor mental activities. The folic acid decreases the level of homocysteine but it has not been proved that it improves the cognitive function and forbid diseases. The addition of diet rich in folate and nutrients helps to treat the Alzheimer’s disease. The low presence of folate in the body increases the chances of colon, cervical, breast, lung and brain cancer. The evidence has shown that the diet rich in folate protects from cancer development. One should intake the natural forms of Vitamin because the pharmaceutical form of vitamin differs from natural ones which provide the protection. Anemia is also one of the causes of folate deficiency. It is the health condition where the red blood cells are formed improperly. Folate assists in the absorption of Vitamin B12 which helps to absorb the nutrients, brain function and provides energy. Folate is one of the vital vitamin which is required for the having healthy pregnancy. The deficiency of folate results in neural tube defects such as anencephaly, spina bifida, limb malformations and heart ailments. Folate is vital for copying DNA and builds the new cells. Low levels of folate leads to developments issues which remain after birth as well. Leafy greens, avocados, sprouted beans and citrus are the folate rich foods which one should intake during pregnancy. Anemia is the result of iron deficiency. The low amount of iron results in low hemoglobin due to which adequate amount of oxygen could not be transported to the cells. The iron deficiency leads to poor mental function, lack of energy and apathy. Children and pre-menopausal women are in high chances of suffering from anemia if they do not consume the foods iron rich foods. Basella alba var. subcordata Hassk. Basella alba var. subrotunda Moq. Basella cananifolia Buch.-Ham. ex Wall. Basella ramosa J.Jacq. ex Spreng. Basella rubra var. virescens Moq. Gandola rubra Rumph. ex L.
Calories 10 Kcal. Calories from Fat 3.06 Kcal.